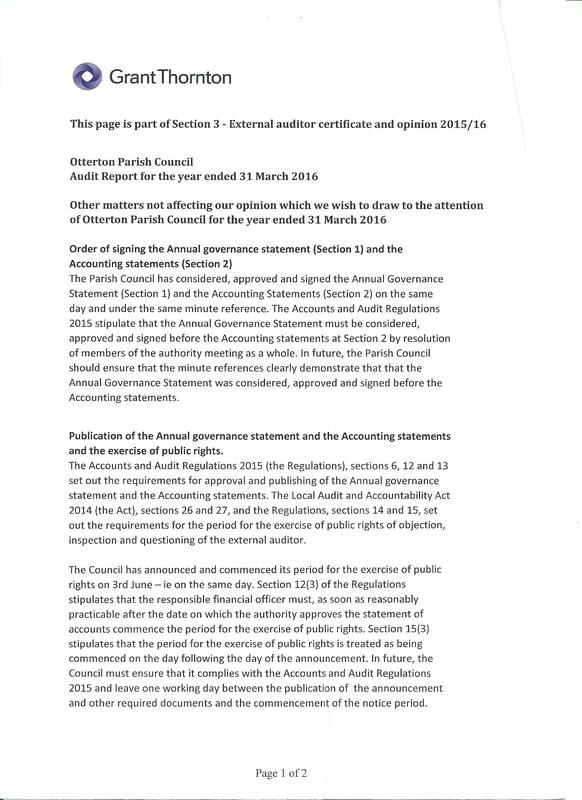 For details of the 2019 Election of Parish Councillors Click Here. East Devon AONB Heritage conference will be held at the Norman Lockyer Observatory, Sidmouth on 27th April. For flyer & booking form for the conference click here. In Otterton Parish we have approximately 20 miles of PROW’s. These being made up of footpaths, bridleways and green lanes (unclassified roads). 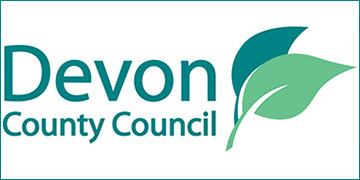 The maintenance of these routes is getting more and more difficult with current financial constraints, and a blurring of responsibilities between Devon County Council (DCC) East Devon District Council (EDDC) and landowners/occupiers. EDDC look after our coastal routes and with a Ranger dedicated to this work we don’t get many problems along the South West Coast Path. 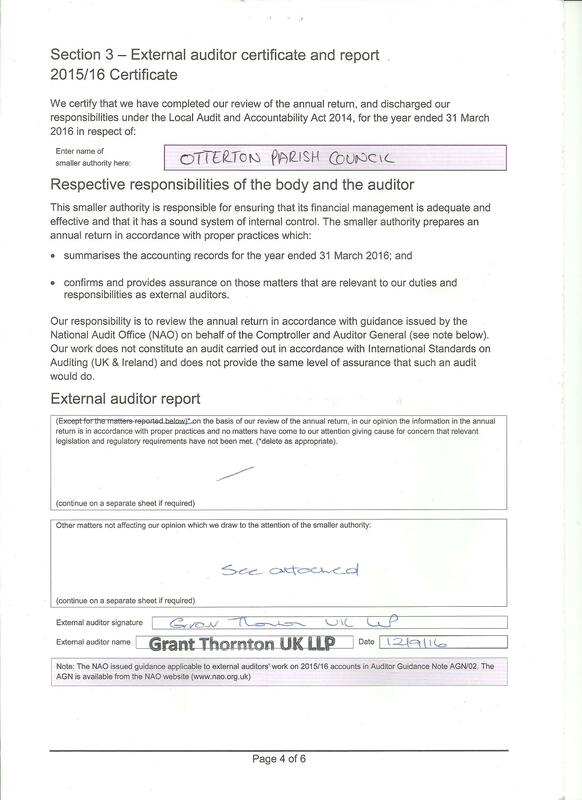 Click here for reports. Please be aware, Devon are governed by what can be designated traffic sensitive through regulations and statute – so we cannot designate routes outside of specific legal criteria. For those areas where legal designations as traffic sensitive cannot be made we are aware, as the highway authority, that early conversations and consultation on works would help reduce network disruption. We are therefore developing a secondary network of routes entitled ‘local consideration’. This is a network that will trigger a need for anyone planning works to discuss with local stakeholders at an early stage (i.e. at the point of noticing). The development of this network is ongoing, however, this network can be considered for areas where traffic sensitive designations do not apply. We have now completed issuing the questionnaires round the village and received a largely positive response from those of you that we talked to as we did that. Our thanks to those of you that completed the questionnaires and returned them - we received 238 in total, of which 31 were from children and young people. By the time you read this, we will have made the draw for the two £25 vouchers for food at The King’s Arms. We are now analysing the responses. We will be mounting presentations of our analyses during the early autumn, as the firstof a number of consultation exercises during the course of the programme. Several issues are obviously concerning many of you,and we will highlight these as the planning moves forward. Please contact ottertonnpsg@gmail.com if you have any questions or would like to get involved. A meeting for all residents will be held in the Village Hall at 7.30pm on Tuesday 25 October 2016 to discuss what is involved and to set up a Steering Group to guide the project. Refreshments will be provided. 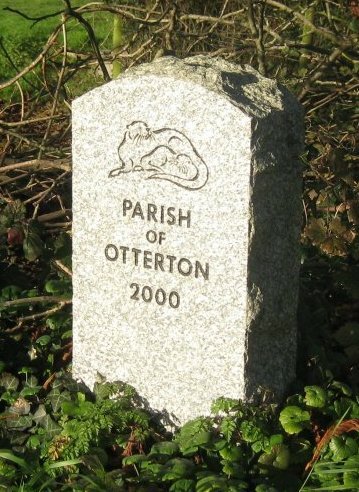 Otterton Cemetery Fees for 2016 to view the details click here. We will pay £8 per hour and 45p per mile. 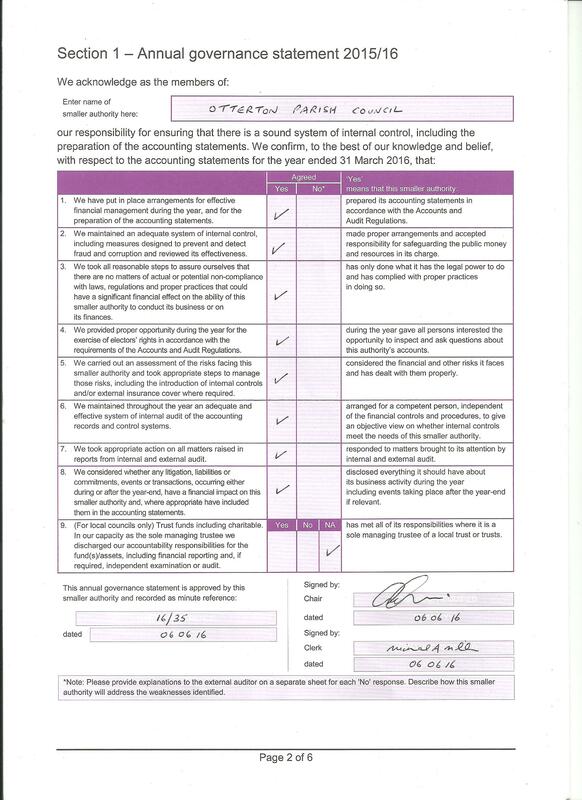 Any forms that you return that allow us to amend the register, we will pay you an extra 50p. 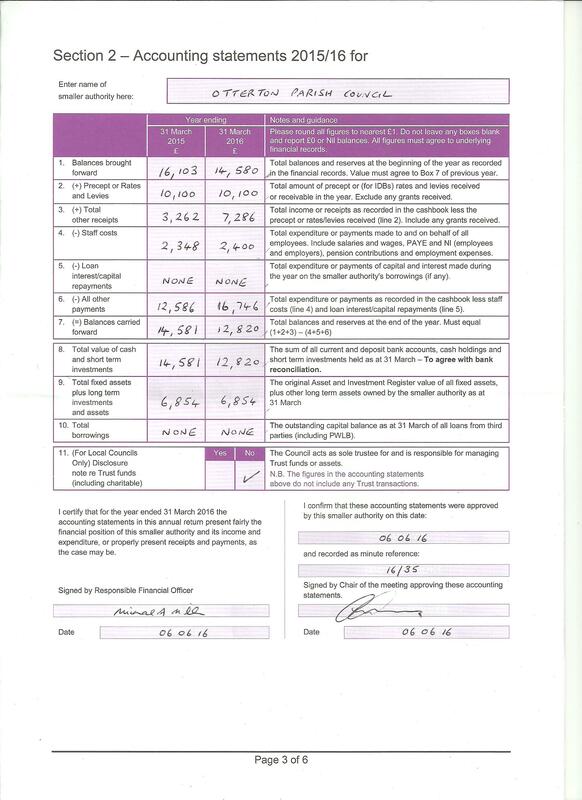 You will be required to call at the relevant address and ask the occupant(s) to fill in their form. If there is no response to your call, you will leave a calling card stating an allocated time that you will return. If when you make your second visit there is still no reply, you will post the form through the letter box. If you are interested, or know of any interested parishioner, please email me back. The timescale will be from 24 October – 31 March 2017. I would also be grateful if you could publish this role on your parish noticeboard/newsletters. Flag Days - To see when Flags will be flown at the Village Hall click here. 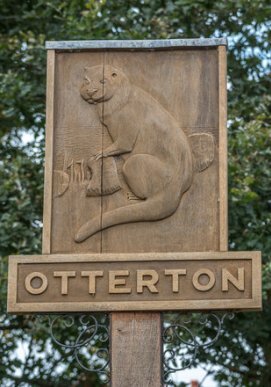 THE FUTURE DEVELOPMENT OF OTTERTON for the response to the questionnaire Click Here. For the original details, map and questionnaire Click Here. 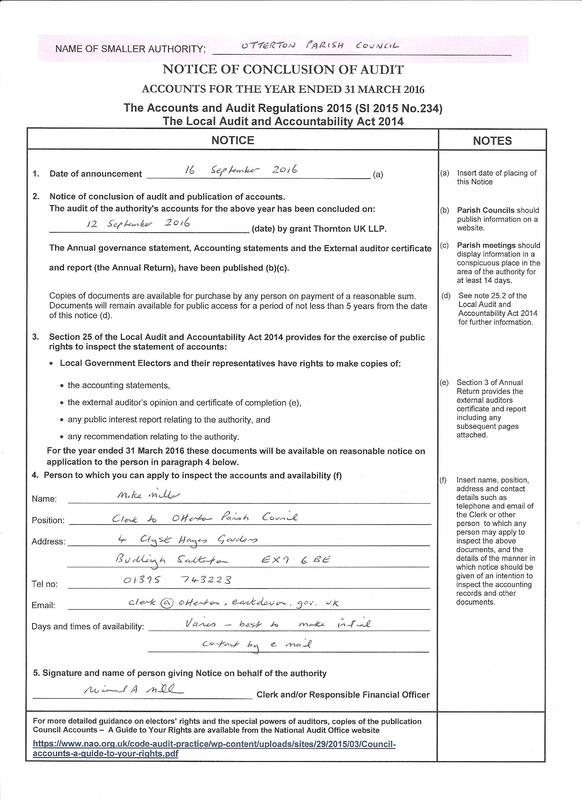 Otterton Local Housing Needs Report to view the report click here. 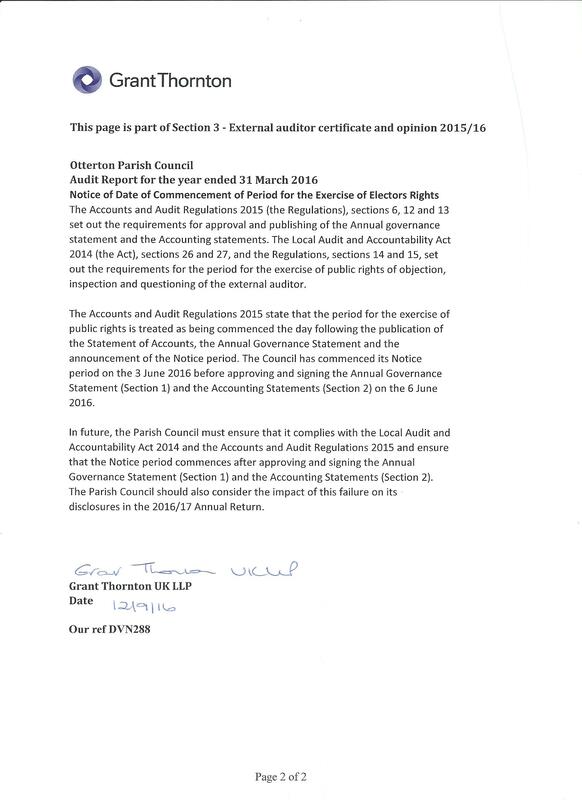 Clarification of the Review of Village Boundaries letter from East Devon District Council (Click here).